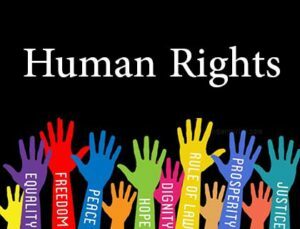 Earlier this month Lord Alton of Liverpool asked her Majesty’s government what steps they were taking to promote Article 18 of the Universal Declaration of Human Rights. My Lords, I also offer my thanks to the noble Lord, Lord Alton, for initiating this important debate and for the vast amount of work he does in this field. All too often, debates and questions in this House describe the appalling treatment of religious minorities across the world. Unfortunately, the response from government is in my view far from even-handed. The world, it seems, is still seen in terms of friendly countries to be spoken to quietly, if at all, and the characterisation of those who are not dependent on us for trade or strategic influence as nasty regimes to be condemned in the most strident terms. Let me give an example. In 2014, the Government described the human rights record of the Sri Lankan Government as “appalling” and called for an international inquiry. I asked whether the Government would press for a similar inquiry into the Government-led massacre of thousands of Sikhs in India. The short, sharp response was that it was “a matter for the Indian Government”. Why the lack of even-handedness? I have asked the same question several times both in the Chamber and in Questions for Written Answer, but always to no effect. On the last occasion, some six months ago, I was promised a considered reply from the Minister, but I am still waiting for it. In France today, Sikhs are being humiliated by being asked to remove their turbans for identity photos in defiance of a UNHCR court ruling that the actions of the French Government are an infringement of the rights of Sikhs under Article 18. There was no mention of this in our Government’s recent report on human rights abuses across the world. France, after all, is a “friendly” country. These examples of religious discrimination are especially hurtful to the followers of a religion in which freedom of belief is considered to be so important that our Ninth Guru, Guru Tegh Bahadur, gave his life defending the right of Hindus, those of a different religion from his own, to freedom of worship. What is of concern to me and others is that we, like other members of what we euphemistically call the Security Council are still living in a world of 19th-century power politics, a world in which the abuse of human rights was conveniently overlooked in a greed-fuelled era of strategic alliances. If there are any doubts about the failure of our power-bloc politics, we should reflect on the current tragedy of the Middle East, which began a century ago with the carving up of the former Ottoman Empire by British and French diplomats. They must upward still, and onward, who would keep abreast of Truth”. “there can be no real peace in the world unless we are even-handed in our attitude to human rights”. We will fail future generations if we do not heed his far-sighted words. Earlier this week, Lord Singh the Director of the Network of Sikh Organisations, held the government to account following publication of their four-year hate crime action plan – Action Against Hate. The forty-page document contains not one example of hate crime affecting non-Abrahamic faiths, nor commitment to a single government funded project to deal with the problem. This is in stark contrast to the focus in the report on Abrahamic faiths, along with a firm commitment to implement taxpayer funded projects designed to combat hate crime faced by these communities, particularly Muslims and Jews. “My Lords, I thank the Minister for her response but it does not address my concerns over the narrow and biased thinking in a report that details 45 examples of hate crime against Abrahamic faiths but not a single example of the many, well-documented mistaken-identity hate crimes suffered by Sikhs and others—and this in a report emanating from a department with specifically designated officers to consider hate crime against the Jewish and Muslim communities but not anyone else. The NSO has been raising the inequalities in the government’s approach to hate crime for some time. Lord Singh has highlighted the wider affects of ‘Islamophobia’ on a number of separate occasions, and earlier this year the NSO released FOI figures obtained from the MET, which revealed that 28% of victims of ‘Islamophobic hate crimes’ recorded by the MET in 2015, were in fact non-Muslim or people of no recorded faith. The Minister has agreed to meet with Lord Singh to further discuss community concerns.